Hewlett-Packard has agreed to sell "Little Basin", their 534 acre property adjascent to the Big Basin Redwoods Park, to two non-profit land trusts, the Peninsula Open Space Trust and the Sempervirens Fund. These trusts will in turn lobby to have this property made a part of the Big Basin Redwoods Park. You can read the full story here at the San Jose Mercury News. It's incredible what land trusts can do to help preserve local open space (you can read some research I did here), and much in thanks to the generosity of the folks at HP, the success continues. I can't wait to try out the new trails! 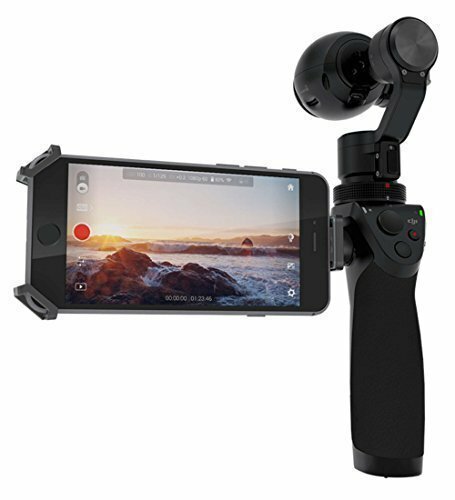 Here's an audio slideshow about the purchase, courtesy of the San Jose Mercury News. "Many of you may have known Lisa Conover -- ultrarunner from Appleton, WI. She has run everything from Western States to Old Pueblo to MiWok to many of our Midwest ultras. Lisa collapsed at home -- from the initial info I got, I think it was this morning -- and Gary (husband) called 911. She was pronounced dead on the scene. Lisa had not been feeling well the past week or so, but evidently her symptoms didn't seem too serious. Perhaps flu-like...I'll share further info when it is available. Of course, if someone else out there in ultraland has more information, please let us know." I didn't have the pleasure of knowing her, but it's clear many of you did. My heart is out to her friends and family. Another ultrarunner forwarded me this partial list of ultras she has run. One thing for sure, Lisa definitely lived life to the fullest. Last Sunday, I joined 60,000 people for the freakfest known as the 2007 ING Bay to Breakers in San Francisco, CA. Our good friend Kristin "Kik" Armstrong was in town, and she wanted to see the meyhem up close! Although I was still sore from the Silver State 50-miler the day before, I figured I could make it through 7.49 miles and get some good pics. Kik and I donned our Tiki/Mai Tai costumes (complete with rasta and pink wig, respectively) and jumped into the start on a gorgeous San Francisco morning. As the gun went off, runners and walkers made their way through downtown San Francisco. Residents were happy to blast their favorite music, and the whole thing felt like Carnivale. We lucked out on the weather - it was sunny and 60 degrees, meaning a comfortable run for us, and no "shinkage" for the streakers! We all knew that Footstock, the party at the end, was waiting just a short run away. At mile 1, we passed about 20 Elvi (plural for more than one Elvis) blasting our Blue Suede Shoes and drinking enough to make the ghost of Vegas-Elvis proud. The costumes were so impressive, Kik and I were constantly pointing out our favorites. Scooby Doo, a caveman couple, SpongeBob SquarePants, mustard and ketchup, Borat (complete with crazy swimsuit), six runners connected as a crewing boat - it was better than Halloween! Our tiki costumes didn't even stand out. At mile three, we turned the corner and stared down the only big hill on the course, Hayes Hill. It's a tough little grind, but probably the most active party on the course. I was pleased that Kik had the bright pink hair and had no trouble tracking her through the crowd. Kik led us up the hill, as "Movin' On Up" was blasting from one of the apartments. We turned a couple of corners and found ourselves on a nice downhill glide into Golden Gate Park. Kik and I were all smiles, but it was clear that this run was a challenge for some of the crowd. We did our best to cheer them on as we passed the rust colored de Young Museum. There were many bands along the way, and some had the most classic names. There was a Tom Petty and the Heartbreakers cover band called "Petty Theft", who was quite good. Soon we heard the surf tunes of "Meshugga - the Chosen Surfers". ...and before we knew had reached the finish. We grabbed some water and headed up to Footstock, where we were joined by Christi, Sophie, and our friends the Shepards. Christi wore a wig of her own to join in the fun. We shared some beers, met some crazy people, and enjoyed the sun. Last Saturday I joined 120 ultrarunners for the 21st running of the Silver State 50k/50 mile just outside of Reno, NV. 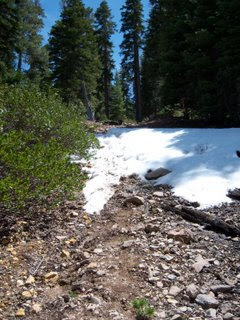 This race is known for its climbs (over 20,000 vertical feet of change for the 50 mile) and snow (9 miles of it last year), providing ideal training grounds for those tackling similar climates at the Western States 100 or the Tahoe Rim Trail 100. We lucked out with the weather and low snow levels this year, and thanks to a fantastic performance by the volunteers of the Silver State Striders, we all had an epic day! The SS50 was a "serious" race for me in that I had some time goals I wanted to hit. I was targeting under 9 hours while still feeling comfortable at the end. This would require pushing waaaay harder than I have on any 50-miler to date, yet still having some juice at the finish line. Why the big goal? Well, lately I've been stressing out over the Tahoe Rim Trail 100 (my first 100-miler) in a big way. Both the TRT 50k and TRT 50m have brought me to me knees in the past (much in thanks to big climbs and altitude) and I wasn't feeling much comfort seeing the TRT 100 approaching on my race schedule. If I'm going to tackle the TRT 100 with confidence, it would be good to have a boost like doing well at SS50 (or in not doing well, learning where to focus). My legs were still a bit tired from Quicksilver last week, but I thought that would help even more to mimic the 100-mile madness. This is it, Scotty boy, time to step up and see if you got the chops. I was coming off a busy week at home/work, so I packed my bags meticulously the day before, right down to every tablet, sunscreen sampler, and worst-case scenario. After hustling out of the house on Friday night to get to Reno, NV, I opened to car to realize I had forgotten one very important thing - to put the bag in the car! OMG, what a rookie move. 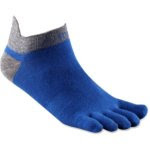 Luckily I always have extra Inov-8's and Injinji tsoks in the back of the car, so I wasn't completely screwed. But I did need to find some water bottles, fanny pack, a camera (essential! ), electrolyte pills, foot tape, sunscreen, gloves and a hat ASAP. REI was open for 10 more minutes, so I got most of it in a flurry of credit card swiping. I figured I would beg my fellow runners for anything I missed. At the pre-race meeting, Race Director Stan Ostrom walked us through the course and let us know of the many course changes from the previous year. I had a chance to catch up with many runners, and meet some of my favorite runner/bloggers in person! Olga and Gretchen are as charming in person as they are in text, and Tom is always a pleasure to see. 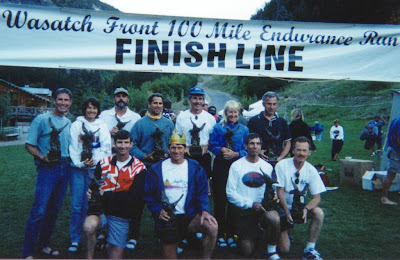 All of them were using this race as a checkpoint for future goals (such as Tom going for the Kettle Moraine 100 in a few weeks), as were many runners targeting the 2007 Western States such as Marty Hoffman, Robert Johnson, Carson Teasley, Troy Limb, Kathy D'Onforio, Betsy Nye, Dawn Infurna-Bean, and others. There were some speed-demons here too, especially in the Men's division. Hal Koerner was here fresh off his win at the ZOld Pueblo 50, as well as TRT100 course record holder Jasper Helekas, ultra legend Paul Sweeney, Montrail racer (and fellow Injinji teammate) Scott Eppelman, and Mike Cook who has clocked a number of top finishes this year already. All were signed up for the 50-mile and ready to rumble! At 6am Saturday morning, we gathered in a shopping mall on the edge of town, gazing up the first big hill. Rob Evans was my hero, and let me access his trunk of ultra goodies to stock up on S! Caps. As we counted down to the start, I realized I was head to toe in new gear and supplements that I hadn't tested in training, and wondered if it would be wise to revise my goals and go a bit more conservative. Then again, blowing up on the course is probably perfect training for a 100! Best to just go hard and see what happens. The first mile cut through the last cul de sac of the local neighborhood, and soon enough we were on a fire road heading straight up the first mountain. This was a tough way to start - from 5,000 ft to 8,000 ft in the first 5 miles - and quickly sorted out the field. Hal, Jasper, and Mike Cook joined a few of the 50k front-runners at the lead, running the whole way. I paced along with Rob Evans, Kathy D'Onforio, Scott Eppleman, and Jenny Capel, and we alternated running and fast-walking. During the walks, I was able to chat a bit with Scott Eppelman, who had flown up from Texas to race here as part of a training schedule for the Hardrock 100. His 17-month-old twins were definitely the bulk of his training these days! We hit the aid station at the top of the hill (mile 6), and Scott took off after Paul Sweeney while I ran a bit with Jenny Capel. The temperature was in the low 60's, but the aid station volunteers said to be ready for 80's. Jenny let me know it was her father who started this race 21 years ago, so she certainly knew the course! This was the last big race of her season as she was going to cover at home while her husband trained for Ironman Canada. Jenny was definitely going fast, and she and Rob Evans went blazing down the hill in front of me. I turned over my legs as fast as possible to keep them in sight. It's a good thing I did - if Jenny hadn't pointed out the 50-mile turnoff for Rob and me just after the next aid station (mile 11.5), we would have missed it for sure. I remembered that there would be a turn about this point (it was one of the course changes from last year), but the chalk markings had arrows in all directions and there wasn't any volunteers to clarify which was for whom. Rob and I said thanks to the group of 50k ladies, and headed up the 12-mile "lollipop loop" just for the 50-milers. The loop went right into a gradual 500 ft climb that gave us a view of the course a mile or so ahead. There wasn't a soul in sight! I was moving at a pretty good clip while Rob's lingering chest cold did battle with the altitude. He decided to take it easy on the uphills, and I continued on solo. I saw four sets of footprints in the silt-like sand, so I figured I was somewhere around 5th place. As I reached the next aid station (mile 15.5), they informed me I was 7th. So much for my tracking skills! As I loaded up on water, I realized I was drinking A LOT. Part of my plan was to really "push" the liquids this time, taking in about 35-40 ounces per hour (with one S! Cap). This felt like a lot, but 2 and 1/2 hours into the race, I hadn't felt the urge to pee and was still chugging. I noticed is was easier to keep track of hydration without my iPod, and I was attentive to sounds and sights I wouldn't normally catch. At mile 17, I ran through a troop of Boy Scouts out camping, and they cheered me on Tour de France style, hovering just one step away from me in a deafening roar. Ten seconds later, back to absolute silence in the expansive high desert. Truly a race of extremes! At mile 22, I was still feeling good and trucking along. I entered an oasis near a creek, which was full of hungry rabbits, butterflies drafting behind me, and bear prints in the mud. This was definitely a popular spot with the locals! The mountains were drowning me in beauty, so I stopped and took a short video (please disregard the audio - I panned so fast it got a little 'Blair Witch' on me, so I slowed it down to half speed). The climb ahead was steep, but I knew the aid station was right on the other side with Coke and ice. The family at the the Dog Valley aid station (mile 23.5) had me in and out in 10 seconds and let me know some steep climbs were ahead. How can this course be uphill both ways? (ha, ha) They said that I was in 5th place, which was a bit confusing since I hadn't passed anyone. Not that it mattered - I wasn't even half way yet! I did my best to fast-walk the climbs and run anything runnable, all while pushing fluids. Before too long, I was exiting the loop and saw my first runner in hours. Jason had been running with the front pack before having some back issues and slowing to a walk until the ibuprofen kicked in. He solved the mystery for me on my race place with a tough tale of wrong turns. Hal Koerner had missed the loop cutoff and was presumably doing the 50k now. Paul Sweeney and Scott Eppelman had followed the old course route (which Paul had followed instinctually from his previous races here), and had improvised some backtracking to make up the skipped mileage (and then some, most likely). So I was either in 3rd place behind Jasper and Mike Cook, or in 5th place depending on if Paul and Scott would be DQ'd. For a fleeting moment I felt like a SUPER ELITE being mentioned in the same sentence with those guys! But honestly, they were probably a good 40 minutes ahead already, and my race was against the clock. I wished Jason well, and took a right down the valley to Boomtown (mile 29.3). The single track to Boomtown was great fun, as it weaved back and forth in a steep downhill grade. My mile pace was around 6:50/mile on these downhills and I felt like I was making good time. The only struggle was the increasing heat (now at 70 degrees) and the water bottles that I drank empty. The Truckee River tempted me for a swim at the bottom of the valley, but I kept pushing the pace to the Boomtown aid station and loaded up on Coke, water, PB&J, and m&m's. Sarah asked how it was going and I had to answer honestly - so far, I was having the race of my life! She said good...take a look at that hill. Oh yes, THAT hill. 4,800 vertical feet straight up over 7 miles, peaking out at 9,800 feet. This was the big test. I gave the mountain a moment of silence out of respect and crossed the I-80 highway to begin the climb. I started with a wrong turn - damn! - but got back on course after a few minutes. A couple of miles later I realized I had also missed the first "short cut" and had inadvertently added a 1/2 mile to the run. Shoot! This is not the way to get under 9 hours! Alas, what can you do. I put my frustrations aside, knowing I would make it to the top one way or another. About half way up the climb I began to run into some of the 50k runners/hikers. A few of them gave great advice, letting me know how to read the mile markers to gauge my distance from the top (mile marker 20.7), and where to expect the short cuts. When I finally hit a short cut, I wasn't so sure if it was making the race any shorter. It went straight up! My hamstrings groaned with each step, but I was thankful the whole mountain wasn't covered in snow like last year. The gang at the the Fuller Flat aid station (mile 33.5) had the tunes cranked and gave me the blow-by-blow of previous runners as they filled my water bottles. Hal Koerner had just caught the 50k leader and was flying up the hill, leaving everyone else to fight for second. Jasper was leading the 50-mile with Mike Cook on his tail, and Paul Sweeney in third but pacing faster than the leaders. A guy named Drake was in fourth a few minutes ahead of Scott Eppelman, leaving me in 6th. I thanked them for the info, and went heads down to get up this darn hill. Coming out of the last "short cut", I caught up to Scott Eppelman, who had gone the long way on this one (he thought I was going to the bathroom). When I told him, he just shook his head and let me know of his make-up miles that easily added more than his share. Scott was still looking strong, and I found pacing behind him to be very educational - he has a gift for picking a fast line with minimal body motion, especially on the loose rocks. We hit the top of the mountain together, refueled at the aid station (mile 36.8), and meandered through about two miles of trails before heading downhill. We took a wrong turn at one point, but caught ourselves before heading too far - talk about off-track conversation! The downhill was a welcome blessing, although the temperature had climbed into the 80's. The loose gravel was perfect for the motorcycles and jeeps we were passing, but tough footing for us runners. Scott led the way, crossing Hunter Lake and taking us into the aid station (mile 43). I downed a ton of Coke and picked up the pace on the last section of downhill. My watch read 8:35, but I wasn't sure what was ahead. I was surprised to find out how much energy I had, so I kept going as hard as I could. Turns out, the loose footing made it difficult to pick up the pace too much. My quads were burning, and I was slipping all over. I could see Scott and a couple other runners not too far behind, so there wasn't much room for error. I heard the voice of Norm Klein calling out finishers, so it had to be close! My legs were shaky, and when I caught a toe on a large rock, I wasn't able to catch myself and went down in the dirt. My head bounced off the ground, and I could taste the pain (which I'm convinced tastes like a warm milkshake made with bloody mary mix and tin foil). It took me a few seconds to gather my senses. Scott E. was a total gentleman, and stopped to make sure I was okay even while competitors were coming down the hill. If it was hydration issues he would walk with me, but I said I was okay so he took off. As I gathered my senses, Karalee Morris went flying by, stopping for no one on her way to winning the Women's division. I paced safely behind them both to the finish in 7th place in 9:05:31. Despite loosing a few places in the last half mile and just missing a sub-9 hour finish, I was extremely pleased with my performance. It was like that line out of The Producers - where did I go right?!? Jasper Helekas (who won in 7:49:07) knew it when I crossed the line, offering congrats, and immediately wondering how I would have done if I hadn't taken so many damn pictures. The real catch was this though - I felt strong, and could have easily gone another 20 miles at this pace. Jasper played back his race, which was largely him running as fast as possible waiting for super-Hal to overtake him. When Hal never showed, Jasper locked in like a missle and finished 40 minutes ahead of Paul Sweeney (8:32:18, Master's winner), Michael Cook (8:34:49), and Oregon's Drake Tollenaar (9:03:35). Karalee Morris did win the Women's division (9:05:18), with Tina Ure (9:17:54, Master's winner) and Kathy D'Onforio (9:40:30) rounding out the top 3. Hal Koerner turned his misfortune into a solid 50k win (4:53:11), with Nick Bingham (5:16:26) and Peter Fain (5:38:11) filling out the podium. 22-year-old Rory Bosio (5:41:36) beat out Jenny Capel (5:42:38) and Julie Young (5:49:06, Master's winner) for a close race among the Women. We ate picnic goodies and got massages, cheering on fellow runners as they crossed the finish line and laid out in the park. The hills had certainly demanded everyone's best, and the smiles at the end showed that everyone delivered. My thanks to the Silver Striders for putting on a great race. I hope the new course for next year can still hit all the glorious spots that made this so memorable. I certainly learned a lot here - if you run from your heart and have some faith in your training, your gear doesn't matter so much. I'm still a bit timid out about TRT 100, but now feel like it is a challenge that can be conquered rather than a mysterious abyss. 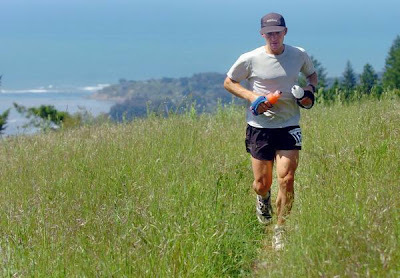 Kensington, CA-based Lon Freeman has been an endurance athlete and ultrarunner for many years, but when he took the 2007 Miwok 100k by storm (8:09, taking 12 minutes off an 8-year-old Carl Anderson course record), he got the ultrarunning community abuzz about a potential top performance at the 2007 Western States 100. This 32-year-old is no stranger to the course (he set a course record 4:28 at the 2004 Rucky Chucky 50k), and has done 100-milers (4th overall in 20:38 in his first 100-miler at the 2004 Los Angeles Crest). Not to mention both of those were done the same year he set a course record at Ohlone 50k (4:51, age group record), won the Skyline 50k (4:00), and finished 3rd overall at the Ultraman (double-Ironman), soon followed by course records at the Stevens Creek 50k (2005), Muir Beach 50k (2006), and other top finishes. Whether he expected it or not, he has the ultraworld talking! 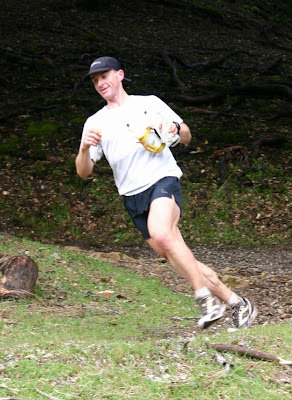 I caught up with Lon after his win at Miwok to learn about his mix of tri’s and ultras, and his plans for the grand prize for winning Miwok – an entry into the 2007 Western States. 1) First, congratulations on a killer run at Miwok. How did it go for you? Did you have a new course record in mind when you started the race, or did it just fall into place? Thanks, it was an ideal day. You never think you’re going to have a race where everything goes right, but the weather, course conditions, training program, and especially my crew, everything was just perfect. I did two training runs on the course earlier in the spring, and I had an idea that my splits were close to CR pace, but those were about half the race distance. So, I wasn’t sure how my body would respond when I put everything together for the full distance. Needless to say, it worked out well. 2) Well you certainly got everyone’s attention! A few other top finishers said you are the man to beat at Western States. I know that’s a big expectation, but what do you think? What are your personal goals for States this year? Well, my number one goal is to stay healthy before, during, and after the race. Anything else will be icing on the cake. I’m not really trying to dodge your question, but see my list of injuries in question 3 which might help explain my perspective about expectations this year. 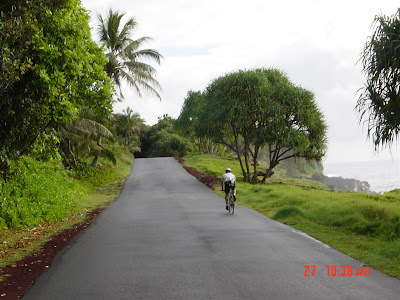 3) You have competed well in Ironmans, Ultraman, and ultraruns of all distances. How has your training evolved as you switched from Ironmans to ultras? And, can you give us a typical training week and the kinds of things you do? I stopped competing in triathlons after Ultraman in 2004. In 2005, I focused exclusively on trail running and by early April, I had overtrained myself into four stress fractures in my pelvis. It was a case of too much running and too much enthusiasm. This basically erased my 2005 racing season. 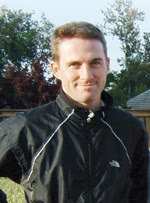 In 2006, I thought I had the training figured out and I felt great going into May, but on May 16, I was diagnosed with multiple “stress reactions” in my pelvis. This is one step away from stress fractures (and can only be remedied by 8-10 weeks of non-running activities). Frustratingly, this erased my 2006 season. At this point, a friend of mine said I should start my own web site called "runtilyoubreak.com". After two failed attempts at training properly for ultras, I greatly reduced my mileage on weekend long runs, added more cycling and started swimming again to fill in the void. Currently, my training involves 2-3 hrs of swimming per week, 8-12 hrs of cycling per week (which is only slightly lower than in my triathlon days), three separate 20 minute core building sessions, and two days of indoor rock climbing. My running is generally 25-30 miles spread over Monday through Friday and then Sat/Sun combined varies from 25 to 50 miles depending on the upcoming race. I envy the folks who can put in the 100+ mile weeks because I really love being on the trail. I’ve learned the hard way that I’m not built to withstand that type of mileage for long. But, hopefully I’m on the right track to finding out what is optimal for me. 4) What are your favorite foods/drinks, both before, during and after a race? I have no standard favorite pre-race meal, and I don’t really carbo-load per se before the race. But, on race morning, I have to have a Chocolate Chip Clif Bar. During the race, I use different combinations of Ultrafuel, Endurox, Gu, and Mountain Dew. I also have an occasional Boost meal replacement drink for a change of texture and flavor. It’s not exactly standard aid station fare, but it works for me. After the race, I really like a protein powder and Endurox shake. Then, about 30 minutes later, when my legs and stomach settle down a bit, I’ll have cereal with frozen blueberries, almond milk and vanilla Pro Score (protein powder). This goes down easy and is great for race recovery. Later on, I really enjoy something salty and reasonably greasy like pizza or spring rolls. And, of course, you can’t completely recover without a good dose of ice cream! 5) Any training partners or groups? I currently do my weekend cycling, all my swimming, and an occasional run with my girlfriend Justine Owen. Other than that, I usually train solo. I really enjoy running with other folks, but that can often be a logistical challenge. Before moving to Kensington in 2004, I lived in Livermore (CA) and I did several training runs with Joe McDonald and Beth Vitalis (both stellar ultrarunners in the East Bay) and I’ve done a ton of long bike rides with my crew chief, Dave Hinds (an Ironman athlete from Livermore). 6) What have been some of your favorite events/experiences so far? Miwok and Ultraman are my two favorite events thus far. Both went extremely well and were a ton of fun. One of my favorite ultrarunning experiences so far was the first real trail run I did with Joe and Beth on New Year’s Day in 2004. They invited 10-20 folks for a low-key group run, but the winds on the Ohlone Trail close to Rose Peak (near Livermore) were up to 60 mph and it was sleeting like crazy. I was the only other person to show up that morning, and we took almost 4 hours to go 12 miles. I was totally hooked on trail running. 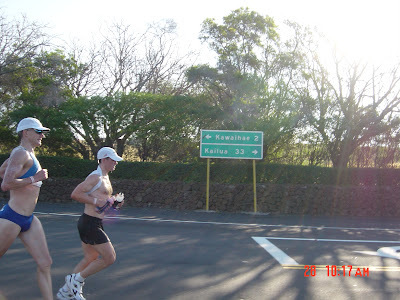 In fact, the next day, I canceled a planned trip to Ironman New Zealand and decided to try to become an ultrarunner. A close second place would have to be many training runs on the Western States course in 2004, 2005, and 2006. I did most of my overtraining runs in the canyons, and, given the beauty of the course, these runs are some of my most memorable thus far. I can’t wait to see what the course is like on race day! 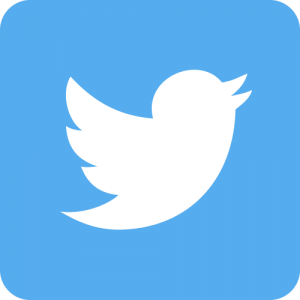 7) Tell us a bit more about yourself. Where do you live, train, work, and what else do you do for fun? I work for the Berkeley National Lab as a financial resource analyst and I live in Kensington, CA. Fortunately, Justine and I live half a mile from Tilden park, which connects us with hundreds of miles of fantastic trails so it’s really easy to get in some very long runs out our backdoor. I also enjoy backpacking and this summer we’re planning to do the John Muir Trail. 8) What is it that motivates you to do endurance sports? What do you get out of it physically, emotionally, and spiritually? On a very basic level, it’s extremely rewarding knowing you can get from point A to point B under your own power. And, once you complete a certain distance, its fun trying to figure out how you can do it better or how you can go farther. Also, my background is in mechanical and aerospace engineering, and the science and experimentation involved with ultras in particular is very intriguing. Connecting the dots of nutrition, training, recovery, hydration, pacing, etc., is a fascinating puzzle because if you’re out on the course long enough, you’re tested in just about every way imaginable. I really enjoy exploring how far I can go. 9) Where else might we see you race after States? Hopefully, you’ll see me at Western States in 2008. I’d really like to give it a go without doing a big effort like Miwok seven weeks prior! I’d like to try Wasatch and maybe Hardrock at some point. The Quad Dipsea sounds like a great time, and the allure of Ultraman will probably pull me back there in a few years. Here's an article on Uli Steidl, the Seattle-based 2:13 marathoner who has known to dominate his share of ultras as well. He and his wife are returning from training in Kenya and he talks about taking his racing to the next level. How fast is this German speedster? How about 12th overall at the 2007 Boston Marathon (2:19), eight consecutive wins at the Seattle Marathon, course record at the Portland Marathon (2:17:21), and he has won every ultra he has every entered, including multiple USATF 50-mile championships at White River 50 (6:32 best), the 2006 American River 50 (5:58! ), and Way Too Cool (3:18! ), and many more. Gosh, now that he's in "top" shape, I wonder what he can do? ;-) I hope to see him on the ultra circuit. Last Saturday, I had the pleasure of joining 250 trail runners for the Quicksilver 25k/50k/50 mile in Almaden, CA (near San Jose, CA). 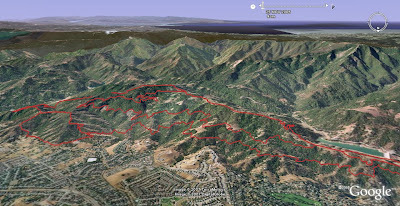 This hilly course cuts through the golden fire roads and single track of the Almaden Quicksilver County Park (map) - challenging terrain for runners and hikers of all levels. Thanks to perfect weather and the flawless race directing of the Quicksilver Running Club, it was a wonderful day to make some new friends and mix it up with Mother Nature. 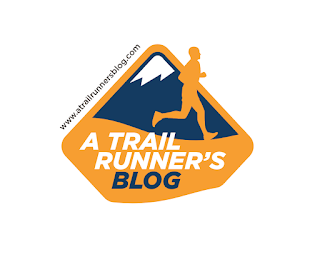 I headed to the race with my friend Dale Reicheneder (the 2005 Trail Runner Magazine Trophy Series Marathon-and-Under Overall winner), who was returning to short-course trail running this season after recovering from heel surgery last year. He was signed up for the 25k and was ready to go fast, while I was signed up for the 50k and saving myself a bit for the Silver State 50m next week. It was great to catch up and hear about his exciting trip to race the Dolomites in Italy (the grand prize for the 2005 winner), and his new running partner, Misty the German Shepard. Thank God Dale is much more organized than me and brought a race packet with directions, which saved me from nearly missing the 6am start of the 50k! I hustled to make the starting line, just in time to say a few hellos to the ever-present Chihping Fu, returning-to-glory Troy Limb, 10-time Quicksilver racer Rena Schumann, Injinji teammate and 17-year-old phenom Michael Hayden, and more. Some of the runners were doing the Miwok/Quicksilver/Ohlone May trifecta...that should have a belt buckle all of its own! Or perhaps a headdress in honor of the Indian tribes. All the runners smiled at the light cloud cover that would keep the sun off of us for our morning miles, and the 58 degree weather. At 6am, we were off! It didn't take long for the course to start climbing, with a 500' climb in the first two miles. I was thinking I probably should have reviewed that packet a little bit more before starting - I knew there was 5,000' vertical in the 50k (8,000' in the 50-mile), but wasn't sure how it would be dished out. It turns out the appetizer was a mouthful! It didn't stop the elite runners, as last year's 50-mile winner/course record holder, Graham Cooper, set chase after 2:30 marathoner Thomas Reiss (50k), with Jeff Riley (50m), Mark Tanaka (50m), and Ron Gutierrez (50k) right on their heels. I walked the uphills, and found myself pacing along with Devon Crosby-Helms and Michael Hayden as we plunged down the hill and entered the single track. We summited Hacienda (mile 2) while catching up on life, school, great ultra runs, and pointing out how Spring has sprung all over the park. If Devon and I got yapping too much, Michael was happy to step up the pace and pull us along. By the time we exited the single track (mile 4), it felt like we were the only ones out there, except for the cheery volunteers who were more than happy to stock us up. I noticed that Devon wasn't stocking up as much as usual, and she told me about her experimentation with chia seeds, a naturally absorbent seed used by the Aztecs that helps turn your existing hydration into a "slow drip" system. This turned out to be one of the many interesting natural food lessons I would be getting in the next three hours, much in thanks to Devon's recent immersion class in whole food/natural cooking. Unfortunately this first lesson just reminded me that I didn't have enough time to hit the restroom before the race, so I let Devon go ahead as I took a bio break. Refreshed, I went past the first Dam Overlook (mile 9) and began a steady climb up past Capehorn (mile 14) to the high point of the race (mile 17). Quail scattered at every turn, and birds filled the hills with chirps and whistles. It was a pleasant scene, and the grade was mostly runnable. At the high point, a volunteer (William?) gave me the full stats - I was 16 minutes off Graham's pace and 2 minutes behind Devon. Well, I could catch one of them anyway! I leaned forward into the downhill plunge to the aid station at the second Dam Overlook (mile 19), refilling my water bottles before continuing the sprint to catch Devon. She laughed at my "picture intervals", and promised not to wait too much so I would stay on pace. As many of us often find in ultras, when two people run at an "easy" pace, the combined energy and comraderie can make a faster pace faster than a typical solo race. For Quicksilver, Devon was my comrade-in-arms (or legs, I guess). At the bottom of the hill, we began to see the Almaden dogs out walking their people and some of the 25k runners making their way back. It's a good thing these trails were marked so well - it would be easy to take a wrong turn among the figure 8's of this course! Devon set the pace on the climb back, and after a brief stop at the Dam Overlook aid station again (mile 24) we tackled the big hill. On the way down were lots of smiling faces (isn't that always the case on the way down? ), enjoying the sun that had begun to burn through the clouds and raise the temperature to about 70 degrees. Our faithful volunteer gave us our splits again - this time we were 21 minutes behind Graham. See, Devon? We're gaining on him! Well, he's not losing us as fast anyway. The Englishtown aid station (mile 28) let us know we had another mile of downhill and then the last "steep" set of climbs. Devon had been forewarned by her friend Hollis to save something for the last few hills, but thanks to a comfortable pace, we felt like we had enough in us to go hard. I checked my watch (4 hrs 15 min) and were both surprised at how fast our pace had been. Chatting and chugging along had gotten us pretty far! It felt like sub 4:40 was within reach. Alas, we should have checked the elevation chart. The last few climbs were so steep (20+ degrees), it was downright confusing. I thought "fire road" meant that a fire truck could make it up, no? Apparently, no! Around every corner was another 50' cliff we had to escalate - tough both psychologically and physically. The only part that was tougher was going DOWN the other side! I did my best to save my toenails and shuffle down, but Devon had no problem at all. She heard the crowd at the finish line and took off like a rabbit to finish in 4:37:14, 4th overall and 1st woman (25-and-under course record). I finished a few seconds later in 4:37:48 for 5th. At the finish, Dale let us know he had won the 25k in 1:59:44, just beating out local speed demon Jason Wolf (2:01:30) and first female Rosemarie Lagunas (2:03:10). The 50k had been won by Thomas Reiss in a blinding fast 4:04:14, with Ron Gutierrez getting second (4:19:54, 4 minutes faster than his course PR here last year) and 47-year-old Antony Nispel (4:30:43) getting third and winning the Master's division. We took a rest, hit the massage tables, and enjoyed some fabulous BBQ by Master Chef Paul Fick as we cheered on fellow runners. It didn't take long before Graham Cooper came cruising in to set a new course record for the 50-mile (6:39:18), showing everyone he is ready to defend his Western States title this year. A few minutes later, Oregon's Jeff Riley took second (6:46:23), and Mark Tanaka finished third (7:17:38). As they chatted about the race, it appeared that Graham chased Thomas Reiss for 6 miles, then set the pace until mile 33 before slowing down to catch up on salt and food. Jeff Riley took the lead for the next 10 miles, and when Jeff slowed up on the last return to refuel, Graham led the way home. Bree Lambert, whom I met at the Woodside 50k in her first ultra, continued her streak by winning the Women's division in her first 50-miler (8:51:05), just a few minutes ahead of Rena Schumann (8:59:14). Among the 50k and 50-mile results were many spectacular performances. Speedy 53-year-old David Ruvalcaba got 8th in the 50-mile with his 8:03:52 finish, just a few spots ahead of Michael Hayden who finished in 8:21:50. They weren't the oldest and youngest finishers in the 50-mile though - those awards would go to 72-year-old Dieter Walz (11:11:14), 63-year-old Wini Jebian (12:35:01), and 15-year-old Michael Kanning (11:09:14) hot off his first 50k at the Pacifica 50k. In the 50k, 63-year-old Wally Hesseltine put in a screaming fast 5:35:38, finishing to the roar of the crowds. The most impressive finishes went to Rena Schumann, Gary Wang, Nick Bassett, Carol Cuminale, Eric Ianacone and Dan Marinsik, all whom received the Miner's Award for 10 races completed. Now that is tenacity! Dale and I said our thanks to the volunteers and race directors and made our way to the airport so Dale could get back to Misty at his home in Malibu, CA. It was one of those days that didn't need explaining and we sat quietly in the car, smiling in serenity on a day well spent. It was a great race put on by great volunteers, and we would certainly both be back.